Keech believes in being a good corporate citizen by establishing and maintaining strong relationships with the local communities in which we operate. 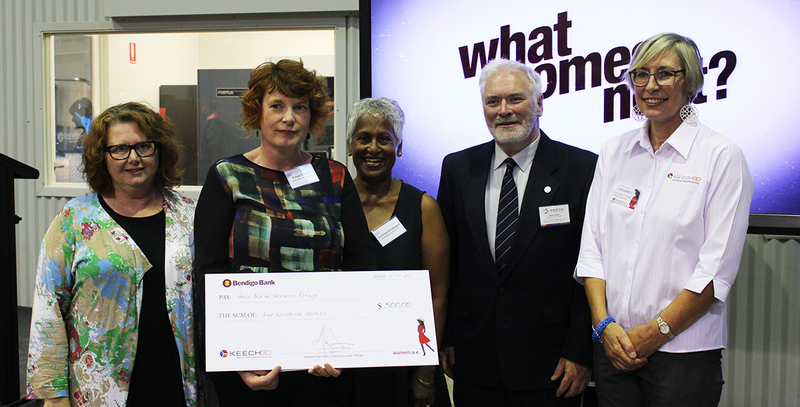 Director of Manufacturing Garth Keech, with his wife Margaret Keech and the representatives from Annie North Women’s Refuge, at the Women.i.s.e event held at Keech 3D in March 2015. For many years, Keech has sustained an active involvement in the Bendigo community. Keech’s sponsorship and leadership of the Bendigo Inventor Awards (Keech CEO Dr Herbert Hermens was Chairman of the Bendigo Inventor Awards Committee for 4 years) has assured the success of this initiative. Keech Australia believes strongly in being a good corporate citizen, establishing and maintaining strong relationships with the local communities in which Keech operates. Not only does Keech play an active role in community support for Bendigo (where Keech Head office and foundry reside), but also in each state of Australia through our national sale coverage. Ensuring a safe work environment for our employees. Support and involvement for community projects. Donations to selected projects at both the corporate and local level. 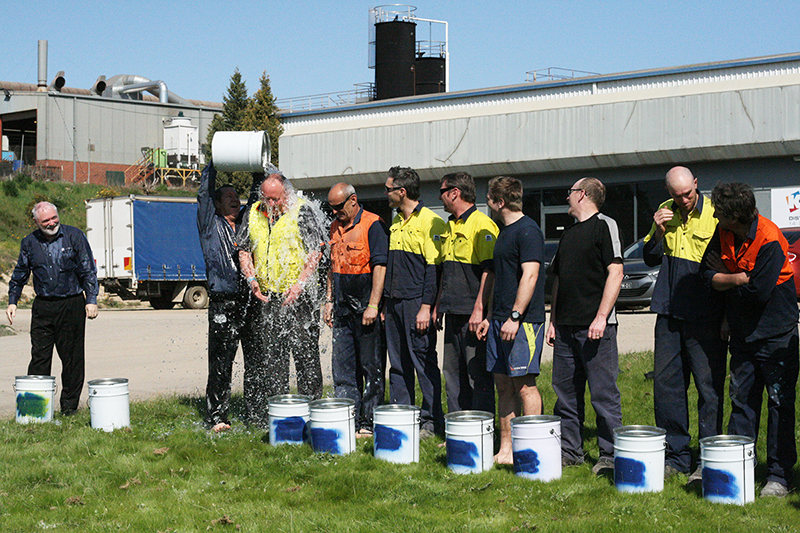 Staff members and family at the Keech Foundry in Bendigo lining up to take part in the Ice Bucket Challenge to raise awareness for Motor Neurone Disease.